Bowel cancer is the second most common cause of cancer-related death in Australia, but it doesn’t have to be. On your fiftieth birthday – and every two years after that – the government will send you a screening test in the mail through the National Bowel Cancer Screening Program (NBCSP). Currently around 40 per cent of people invited to participate are doing their screening tests. So what’s involved? The screening test detects tiny traces of blood in your poo which is invisible to the naked eye and may be a sign of cancer or a polyp. A polyp is a tiny clump of cells which over time may develop into cancer. When you go to the toilet, you need to do a poo, poke it with the stick that’s in the kit and seal it up. You do this again on a different day. You then send your samples back to the lab in the reply paid-envelope, to be tested. You do not need to change your medication or diet to do the test. The results will be sent back to you and your GP. If your bowel screening test result is positive, you will need to discuss the results with your doctor, who may recommend further testing to identify the cause of the bleeding. It’s important to remember that a positive result may be due to conditions other than cancer, such as polyps, haemorrhoids or inflammation of the bowel. A recent study stated that “Australians are too busy for bowel cancer screening” and that the main reason they offer for not taking the test is they “don’t have the time”. We urge you to be proactive about your health and do your screening test when it comes in the mail… it might just save your life. You may be eligible for the free National Bowel Cancer Screening Program. 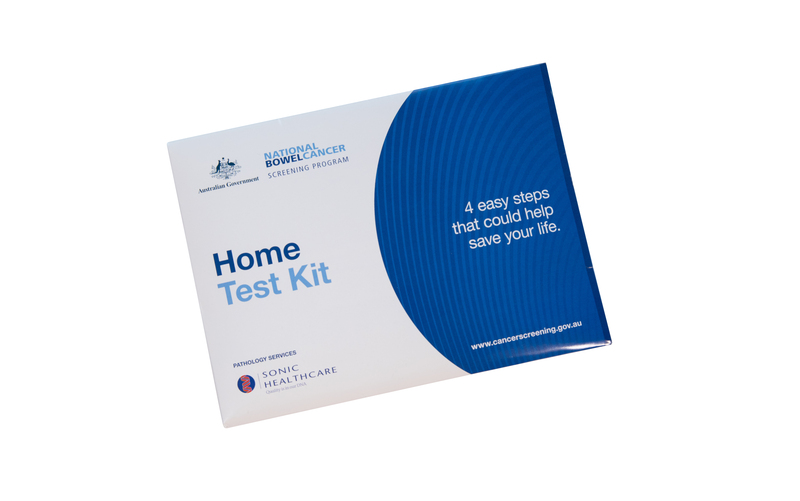 Bowel screening tests are available from a range of pharmacies for $39.95.